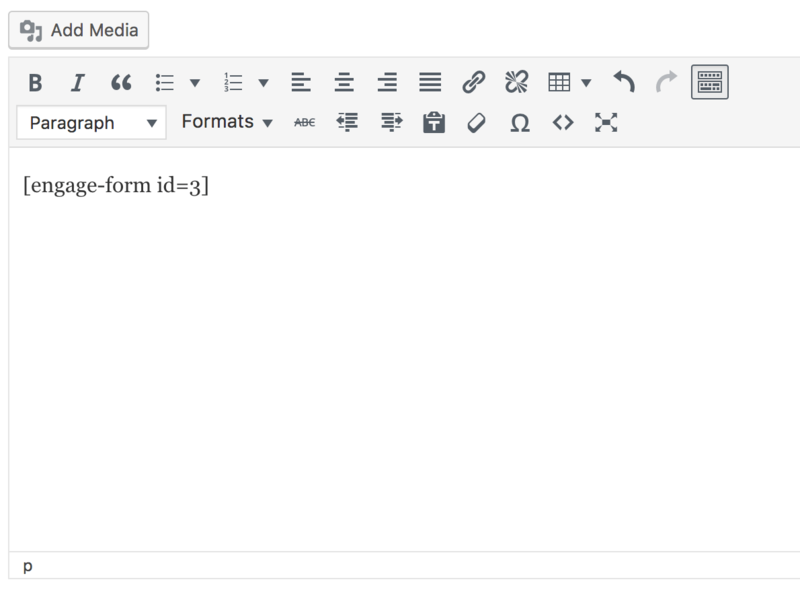 Building a form in Engage is as simple as dragging the various options into the builder, setting your options, then inserting the custom shortcode into a Post or Page. 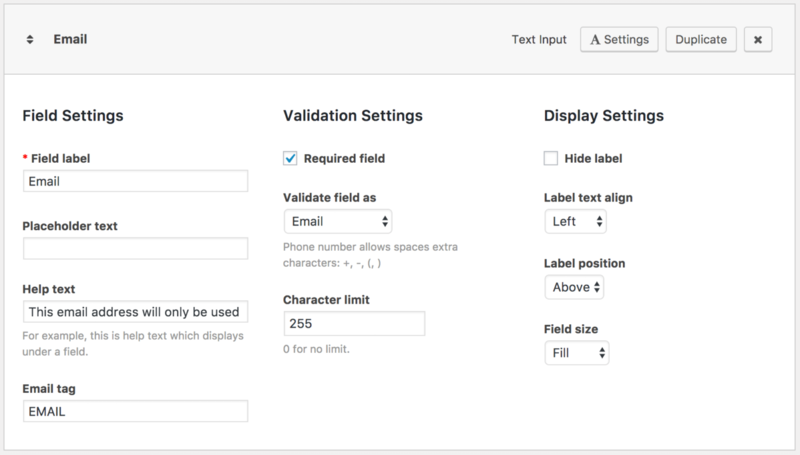 If you don’t already have Engage set up on your site, head over to the plugin marketplace to install it or search for Engage from your website “Add Plugin” screen. 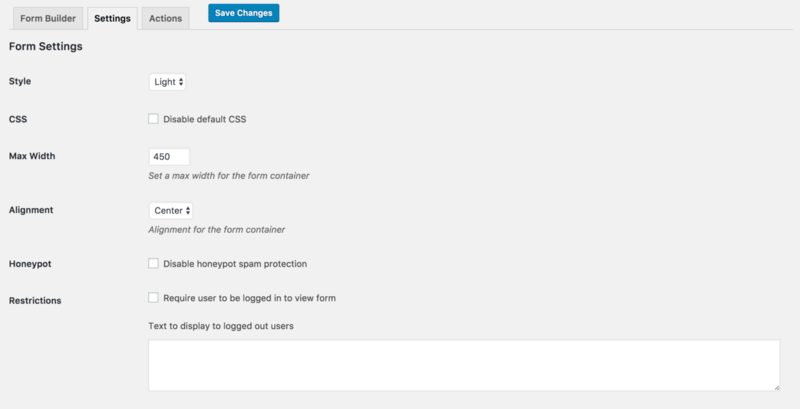 To create a new form, choose Add Form from the Engage menu on your Dashboard. 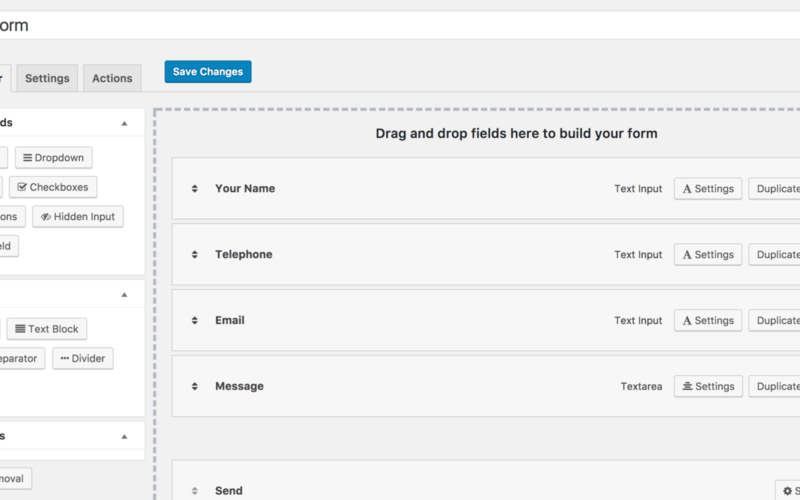 Enter the name of your form and start building the form using the Common Fields / Layout / Add-on Fields dropdown menus. 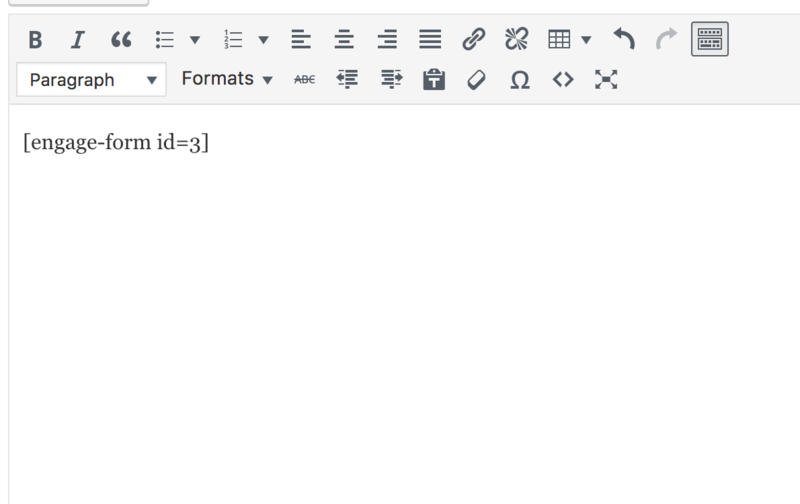 Click each header and they will extend to show the options for that section. Drag each part onto the builder area at the bottom, as shown in the screenshot below. 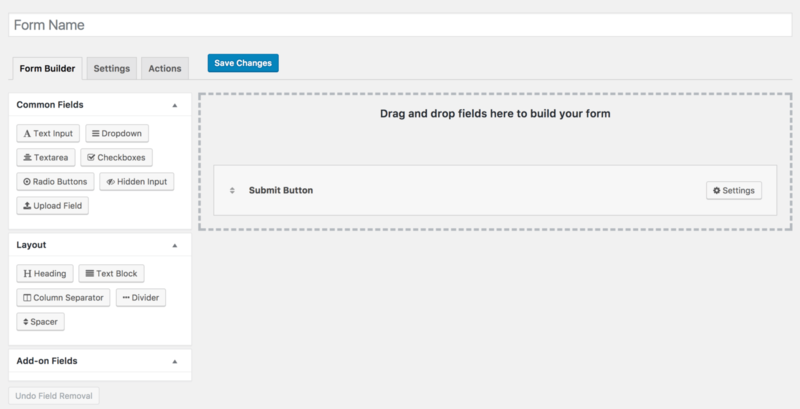 To rearrange the flow of the form, each field or layout section can be moved up or down using the double headed arrow. Click the Settings button and the field will expand to show any options available. The field name then becomes the same as the Field label allowing you to easily see the flow of your form. 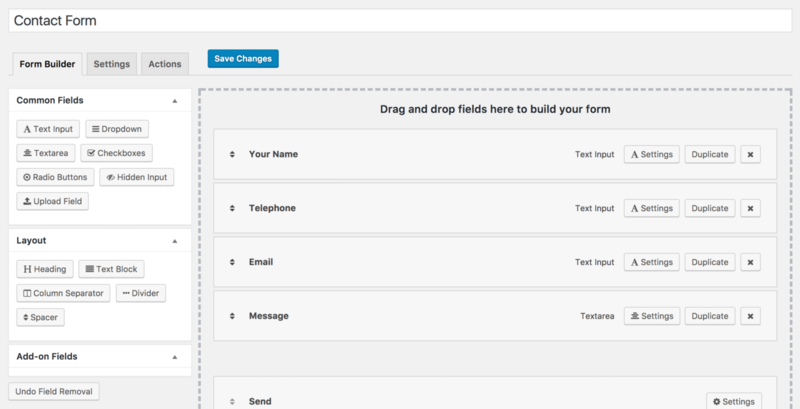 After you have completed the structure of your form, ensure to click Save Changes on the top right. 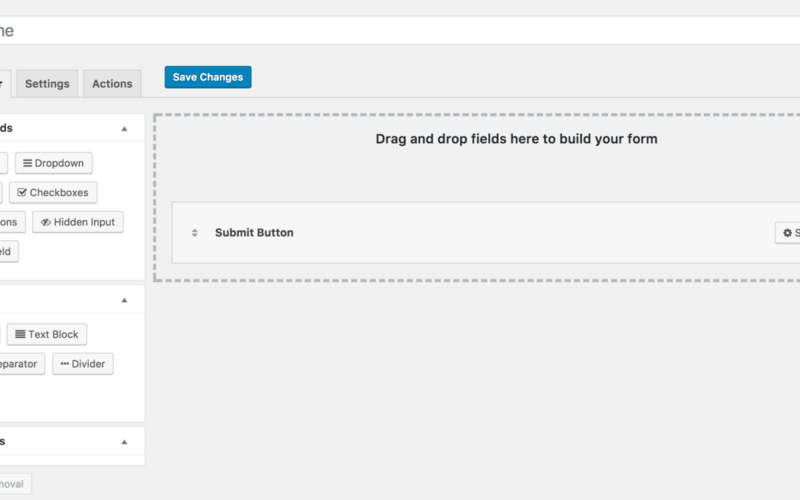 For the first time you create a form, this allows the creation of the shortcode to use the form. 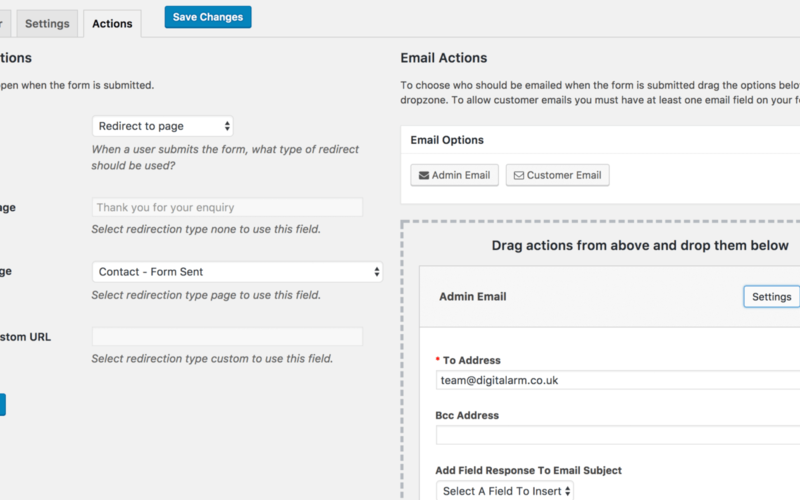 After the Form fields have been set, use the Settings & Actions tabs to control the admin aspects of the form. 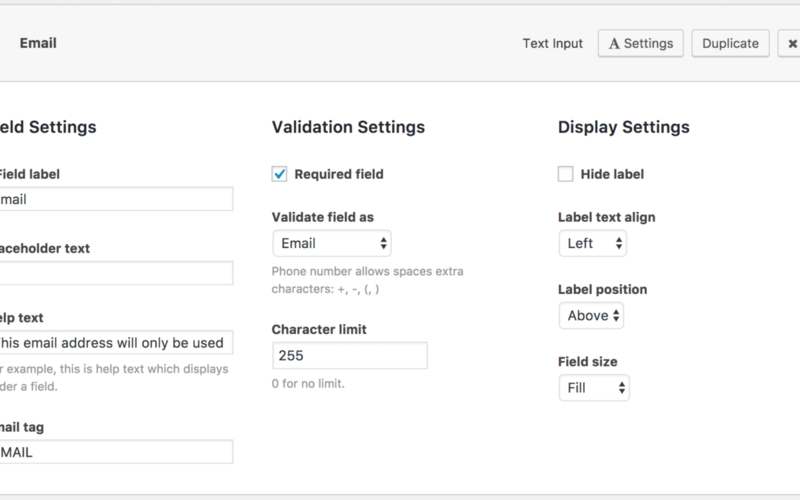 The Settings tab can control if you wish to disable Engage’s default CSS, require only logged in users to view the form, or other options. 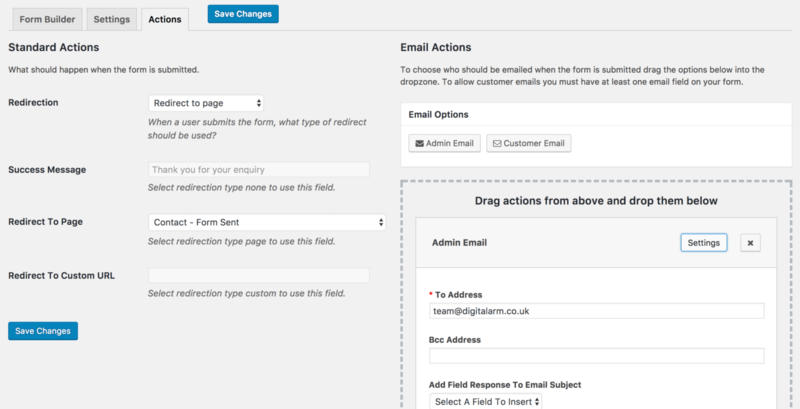 Within the Actions tab the redirection of each form is set along with the Email Actions and Message Storage. 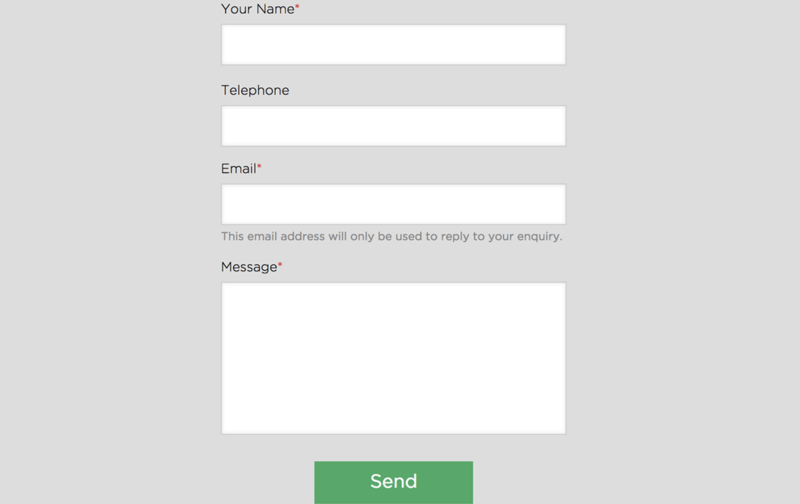 Please note that if there are no Admin Email Options set or the Message Storage isn’t ticked, there is no way to view the form after it is submitted. Engage allows flexible redirection and success messages which can be tailored towards your needs. 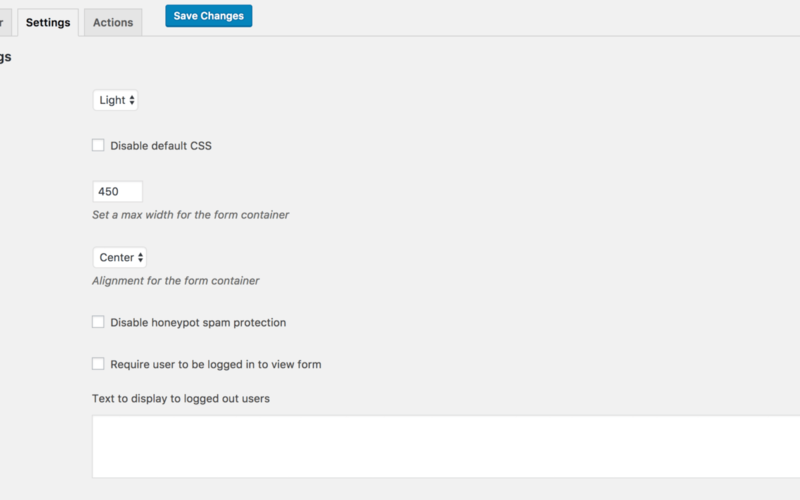 Click Save Changes again and make a note of the shortcode for your form. 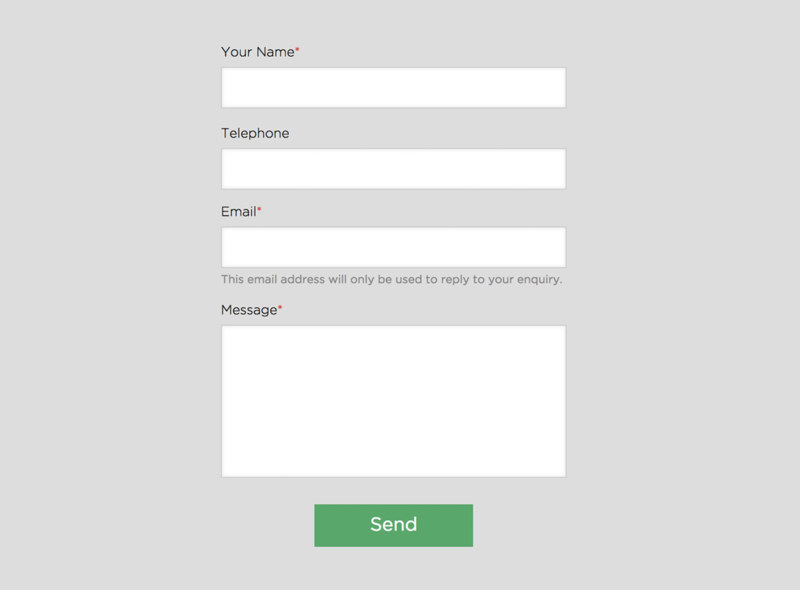 Edit the page you want the form to appear on and enter the shortcode; save the page and view it on the front end to view your completed form!